The Witney by-election yesterday, caused by the resignation of David Cameron as local MP, saw a swing from the Conservatives to the Lib Dems of 19.3%. That’s the biggest by-election swing to the Lib Dems since 1997’s Winchester by-election. In 2015 we came fourth with 7% of the vote in Witney. At yesterday’s byelection we leapfrogged the Labour party and beat them to take second place with 30% – while their vote was significantly down on 2015. UKIP and the Greens both lost their deposits with less than 5% of the vote. Former Liberal Democrat MP for Manchester Withington, John Leech, who led the successful campaign to pardon Alan Turing, has today secured an agreement with the Government which will grant a posthumous pardon to tens of thousands of gay and bisexual people convicted under long abolished sexual offence laws. The decision to accept the amendment has been warmly welcomed by the architect of Alan Turing’s pardon, Cllr. John Leech, who said: “For years I have campaigned and fought for this moment and I’m completely overwhelmed that this is finally coming to a positive end. Those similarly convicted but still alive will also receive pardons if they have successfully applied for a disregard, or in future successfully apply for a disregard under the Protection of Freedoms Act. The Government will add their name to the Liberal Democrat amendment to the Policing and Crime Bill that when passed will finally grant the long awaited pardon to over 75,000 people. This has been a long fought campaign for John Leech who first raised the issue in the Houses of Parliament and began campaigning in 2011. Mr Leech submitted several motions to Parliament and campaigned hard to secure the historic pardon, stating that it was “utterly disgusting and ultimately just embarrassing” that the conviction was upheld as long as it was. In 2013, Alan Turing was given a posthumous royal pardon and an official apology by former Prime Minister Gordon Brown, following the high profile campaign led by John Leech. Following the success of his campaign, Mr Leech turned to securing the pardon for the 75,895 other gay, lesbian, bisexual and transgender people who were unfairly convicted for similar offences. Alan Turing was a pioneering English computer scientist and mathematician whose groundbreaking work is thought to have brought WWII to an end four years early. However, at a trial in 1952, Turing admitted to “acts of gross indecency” before being sentenced to chemical castration. His conviction meant he lost his security clearance and was forced to stop work at Bletchley Park. Aged just 41, he was found dead from cyanide poisoning in 1954 with a half-eaten apple by his side. An inquiry concluded that it was suicide. It is estimated that Turing’s work saved the lives of some 14 to 21 million people. Mr Leech said Turing’s persecution “by the state for being gay was a scandal that shouldn’t have ever been allowed to stand”. The first motion Mr Leech submitted called for a recognition of the “vital contribution made by Alan Turing to Britain’s war effort” and “regrets that following his years of national service he received a criminal conviction for having a sexual relationship with another man”. Leader of the Liberal Democrats, Tim Farron MP, added: “The Liberal Democrats continue to be the strongest voice on equality in and out of Parliament. Black History Month is an opportunity for us all to reflect on Britain’s diversity and rich culture, as well as serving as a reminder of the inequality that still exists. This year, more so than others, the significance of Black History Month cannot be overlooked. Following the referendum result, we have seen a rise in racist attacks and xenophobic hate crimes reminding us that we must remain vigilant against division, and always celebrate our differences as well as our shared humanity and compassion. Britain leads the world in so many different arenas from the Olympic medal leaders board to university league tables thanks to the diversity of those who have made this country their home and we must always strive to remain open and united against intolerance. The continued standing of this island depends on the contribution of all of those who live, work and study here – many from BME communities, some who have been here for hundreds of years and others who are newer arrivals. Once again, the sheer number and quality of the events and activities being put on to celebrate Black History Month this year is breathtaking. It promises to be another wonderful year filled with talent and joy. I wish everyone a successful and enjoyable Black History Month and offer my congratulations and thanks to all those involved in making it a success. 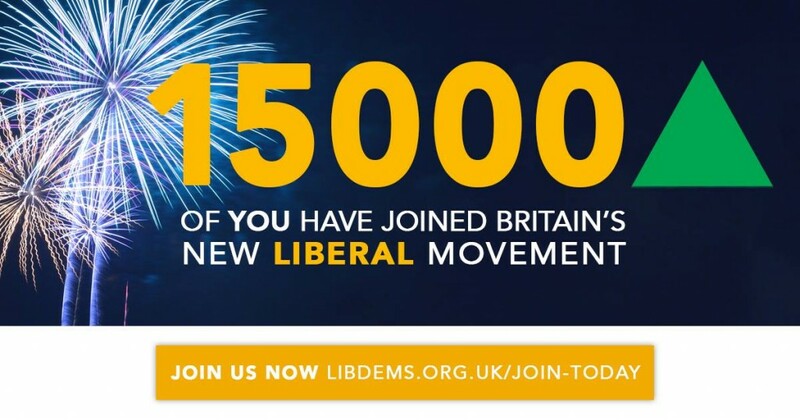 The Liberal Democrats have gained 15,000 new members since the referendum, including doubling our membership in Tameside, and going strong. 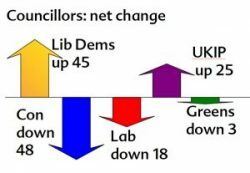 After bruising elections for the Lib Dems, losing seats each May for the past eight years, this year we were the party making the most gains nationwide. And many of those were here in the North West. Labour’s one-party state in Manchester was brought to an end as John Leech won in Didsbury West. Knowsley was another Labour one-party state but we gained three seats – congratulations to the three new Prescott North Councillors Carl Cashman, Ian Smith and Mike Wynn. In Sefton we won every seat in the Southport constituency for the first time since 1858, as local MP John Pugh tweeted last night. That’s another council seat gained from the Tories. In Liverpool we held Church ward (with new candidate Andrew Makinson) and gained Allerton & Hunts Cross (new Cllr Mirna Juarez) and Woolton (new Cllr Malcolm Kelly). We are now joint largest opposition party on the council. In Liverpool‘s mayoral contest we moved up to second place and from 6% to 21% – a brilliant result even if not the winner. In Rochdale we gained a seat in Milnrow & Newhey, congratulations to new councillor Irene Davidson. In Bury we gained a seat in Holyrood ward. Congratulations new councillor Steve Wright. Warrington council had all-up elections on new boundaries. We emerged with two more seats – up to 11 from 9. It can’t all be good news though and next-door in Oldham we lost one seat and another was lost in Pendle. In Stockport we sadly lost Manor ward, making Labour the largest party on the council, though as for many years it is in no overall control. Commiserations to former council leader Sue Derbyshire. Nationwide, the graphic here shows the overall result. Lib Dems up 45 seats, UKIP up 25, and the others all falling back. In the Police & Crime Commissioner elections we moved from fourth to third place in Cumbria. For Merseyside we went from 7% to 11.5%. Our Cheshire support went up half a percent – and 8,000 votes. And in Lancashire we gained an extra 5,000 votes compared to 2012. There was no ballot in Greater Manchester because we have the new elected Mayor for Greater Manchester to be elected next year instead, incorporating the PCC role’s powers. The New Year is a time to look forward and it is as important for us as a party to set ourselves new goals and ambitions as it is as individuals. I am determined that the Liberal Democrats face the new year with a new sense of purpose, a new drive and a sense of ambition. David Cameron and Jeremy Corbyn both lead parties that are fundamentally divided. Whether it is over Europe, like the Conservatives, or their leader, like Labour, both the government and the official opposition are at war with themselves. This obsession with their own internal problems is bad for politics and bad for Britain. For the Conservatives, David Cameron and George Osborne are more and more obsessed with appeasing their backbenchers, resulting in policies that are punishing people that are trying to provide for themselves and their families. To make things worse, they are taking a wrecking ball to public services, particularly local government. With Labour, there is open disagreement between members of the Shadow Cabinet and Jeremy Corbyn. As they desperately scrap to hang together, they are failing to hold the government to account. They are giving the Conservatives a free ride. The SNP and UKIP are just as bad. In Scotland, the SNP is letting public services deteriorate. They are pretending that decisions in London are all to blame, not taking responsibility for their own decisions in Edinburgh. As for UKIP, it can’t even get the support of its one and only MP. We enter 2016, politically speaking, with other parties only really caring for themselves. Labour, Tory, the SNP and UKIP are putting their own party interests ahead of the interests of those that elected them. 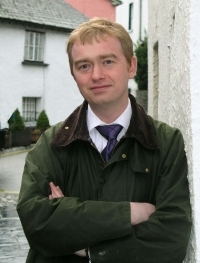 Lib Dem party leader Tim Farron has recorded a video message for World AIDS Day, December 1st. “So many of us are wearing the red ribbon at this time of year – 1st December, World AIDS Day. The first World AIDS Day was 1st December 1988. I was eighteen, I was one of the people who took part in that first event. It’s very important for us to acknowledge that in the almost three decades since then, we’ve made huge strides forward in this country in terms of dealing with the stigma surrounding HIV/AIDS, but also about life expectancy and the whole medical front. Massive, massive strides forwards and all of us should proud of it. “But we haven’t done enough. There’s still loads more to do to make sure we deal with the stigma, and deal with the needs of people who are living with HIV. One in four people living with HIV in this country do not know they are living with HIV, so today is also about encouraging people to get out there and get themselves tested. But it’s also important we recognise that the massive blight that is HIV/AIDS around the world is in countries far away from here, much poorer than this one. It’s why it’s so important we stand by our international development commitments as a country, making sure we support those countries where AIDS and HIV are a much bigger problem even than they are here. “The Liberal Democrats know that to defeat an enemy as evil as ISIL the use of military force is necessary. We will consider supporting extending airstrikes against ISIL in Syria provided the Government’s plans meet the five points that I and colleagues have set out today. 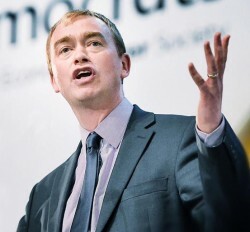 Liberal Democrat leader Tim Farron has written to the Prime Minister along with former leaders Nick Clegg, Paddy Ashdown and Menzies Campbell to outline the five principles the party wants to see addressed if they are to support military action in Syria. The letter, also signed by the leader of the Scottish Liberal Democrats Willie Rennie and the Welsh Liberal Democrats Kirsty Williams, sets out the specific principles that would be required to be met to secure Liberal Democrat support for military action against ISIL in Syria. The government has a working majority of 17 MPs and reports state around 15 Conservative MPs have said they will not support the government. “For three years, Liberal Democrats have been consistently united in saying UK military action must be accompanied by a broader international strategy that can defeat ISIL. This was partly achieved with the UN resolution passed on Friday. 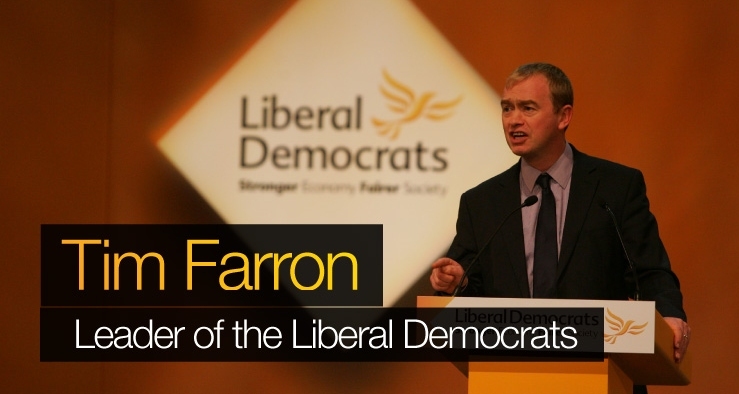 Tim Farron has set about ending the Liberal Democrats’ lack diversity at the top of the party – by naming the most diverse shadow cabinet team in the party’s history to lead the party’s fightback. The new Lib Dem leader announced a spokesperson team including 12 women and 10 men to lead the fight back against the Tory government. Tim also chose a team from both inside Parliament and out, from across the United Kingdom, and from people who served in Government and those who didn’t. On making the announcement Tim said: “I am delighted to be able to announce my team of party spokespeople. The team I am announcing today is the Liberal voice that Britain desperately needs. It features some of the best campaigners that the party has, balanced with the experience and economic credibility that our party has developed over the last five years in government.